External users are typically external to the organization and, as a result, are much more limited in their access. 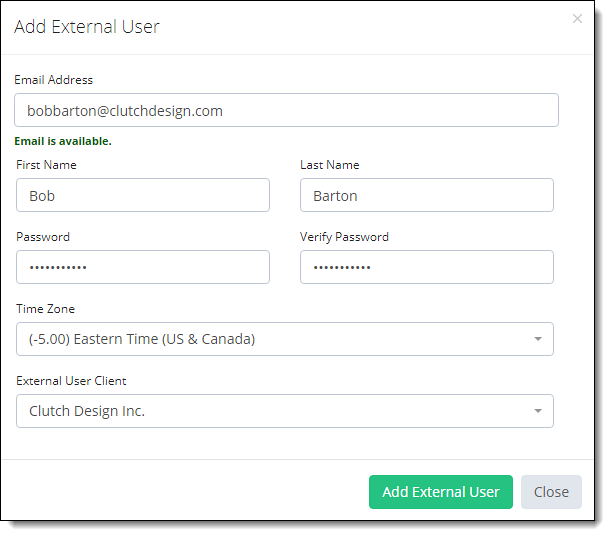 External users are often created for those users who are required to approve time information and review report data on behalf of a Client. External users can be assigned as a representative/approver for projects associated with the client. Client approvers can approve timesheets in which time is entered into the client’s projects (client approver sees only the entries of their projects). Click External Users icon under Organization Setup. Click + Add External User green button at the top right. Enter the name of your new External User’s Email ID. Now click the green Add External User Button. Click External User icon under Organization Setup. Click Options with Gear Icon against the External User you want to Edit then click Edit User Button. 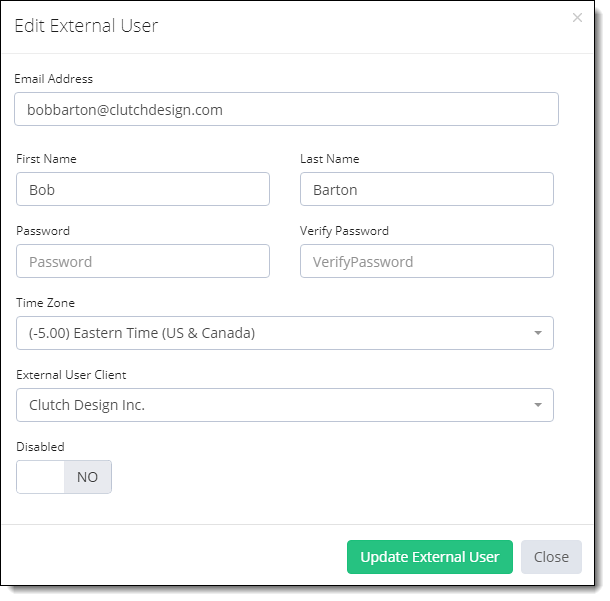 External User Popup will appear, where you can change the External User detail. After making changes, click Update External User Button. Click Options with Gear Icon against the External User you want to Disable then click Edit User Button. Click Update External User button. Click Options with Gear Icon against the External User you want to Delete then click Delete Button.